Nezu Café is located in the garden of the Nezu Museum, so you have to visit the museum to access it. The visit is well worth it, however! It has exhibitions of traditional paintings and crafts, a beautiful architecture and amazing traditional landscaping. 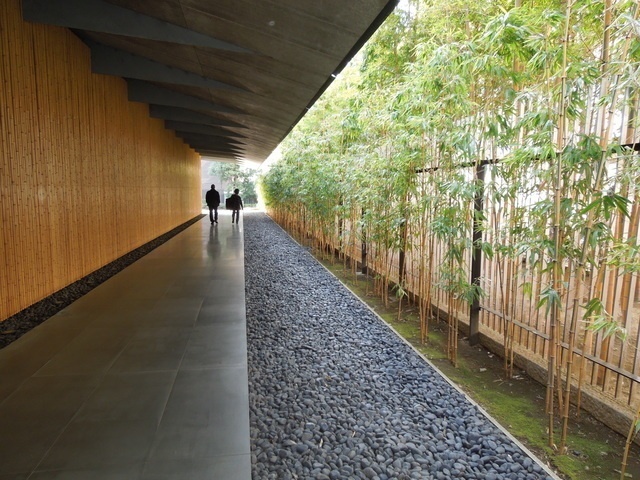 It is located in Aoyama, in the very heart of Tokyo, but you'll feel as if you are in the middle of a forest. It is located at a 5-minute walk from the Omote-Sando Station. In the garden, there is a new building which houses the Nezu Cafe. It is a vast area with three walls made of glass so you can have the view of the beautiful greenery while you enjoy your food and beverages. The inside is so clear, and the view of nature is therapeutic. You'll feel relaxed after spending some time there. If you just want a coffee break than have the day's special cake at ¥600. For that price, the quality is arguably excellent! Look at the details of this piece of chocolate cake. For an extra ¥400, you can also have a cup of tea or coffee as a set. If you want a truly Japanese experience, then you should try the matcha set (¥1,300). You get a cup of matcha green tea and a seasonal confectionary. Look how delicate and beautiful these are! If you'd like something more substantial to eat, then pasta would be a good choice. The pasta dish available changes day by day but is reliably tasty and carefully prepared with seasonal ingredients. The pasta plate is ¥1000. They also serve one of the finest-looking Hamburg steak in all of Tokyo. It's a bit expensive at ¥1,300 but it also comes with bread. A BLT sandwich and salad set is also available for ¥1,000. There is a meat pie and salad set for only ¥800. 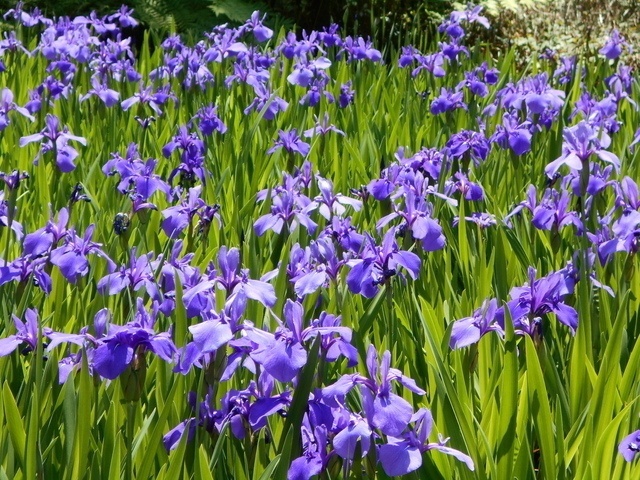 Another reason to visit the cafe is the blooming iris flowers at the beginning of summer! Enjoy the flowers, nature, the art exhibitions and finish your visit with a calming meal or drink at the Nezu Cafe. The regular price to go to enter the museum is ¥1,100, and ¥1,300 for special exhibitions. Refer to the website below for more details.